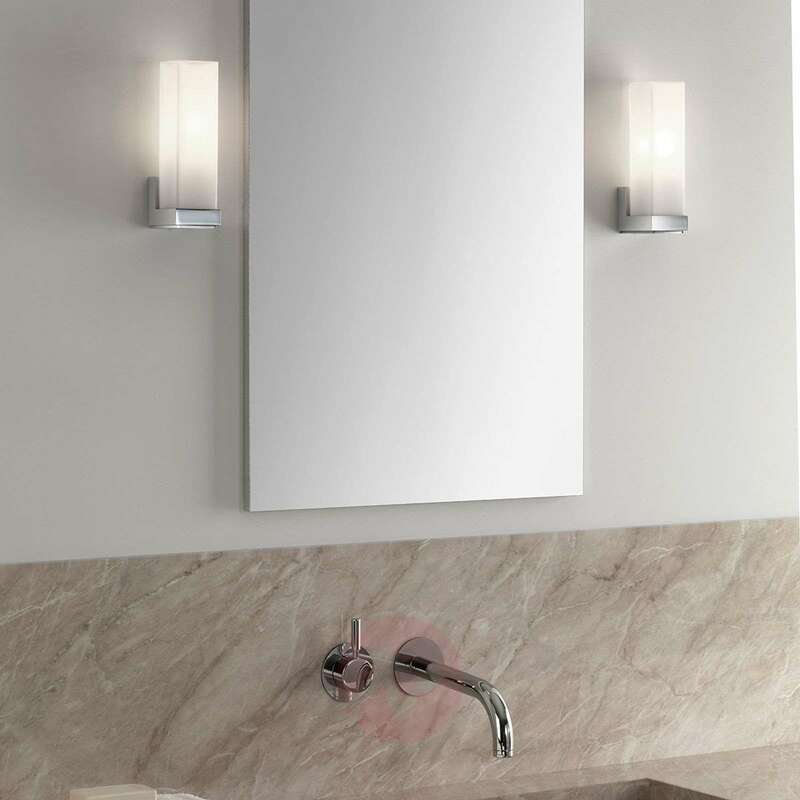 Clear shapes and ultra-high quality are the attributes of this wall light. 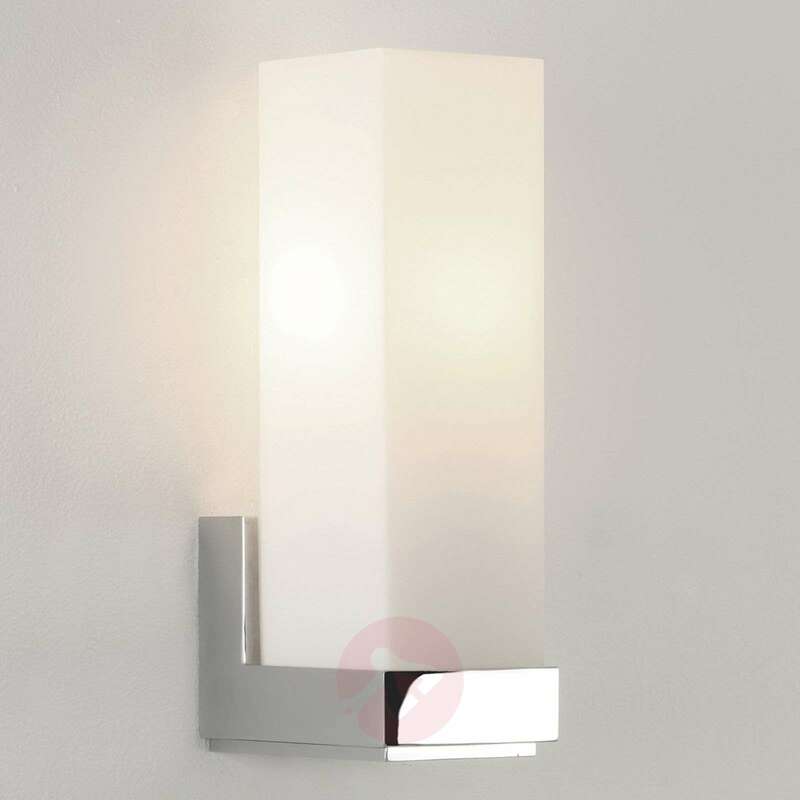 The excellent harmonious light distribution ensures the desired comfort factor. 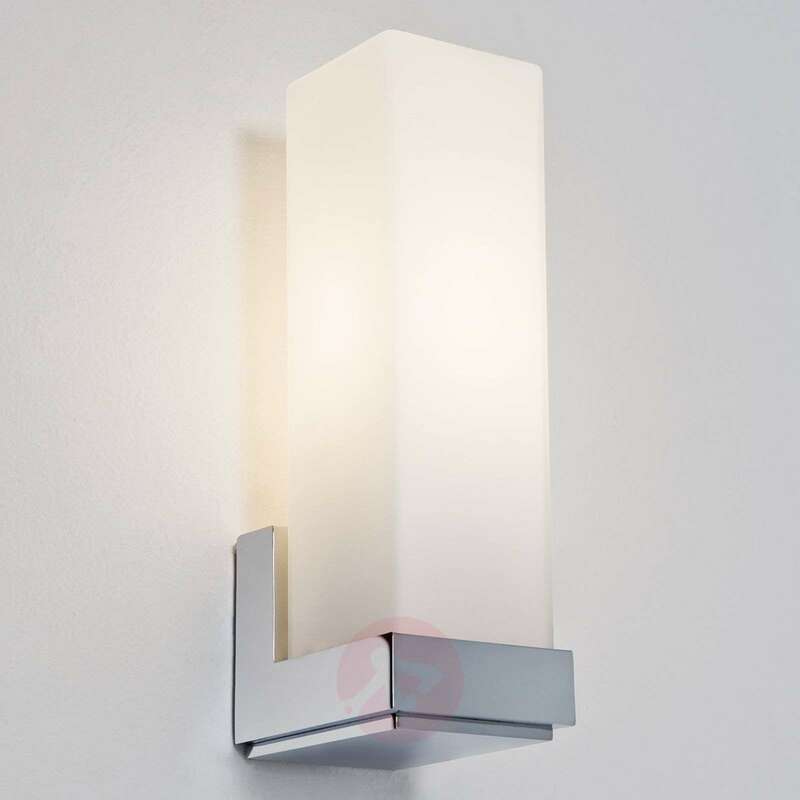 The cube-shaped shade made of white, satined opal glass in conjunction with the polished chrome gives this wall light its elegant touch.